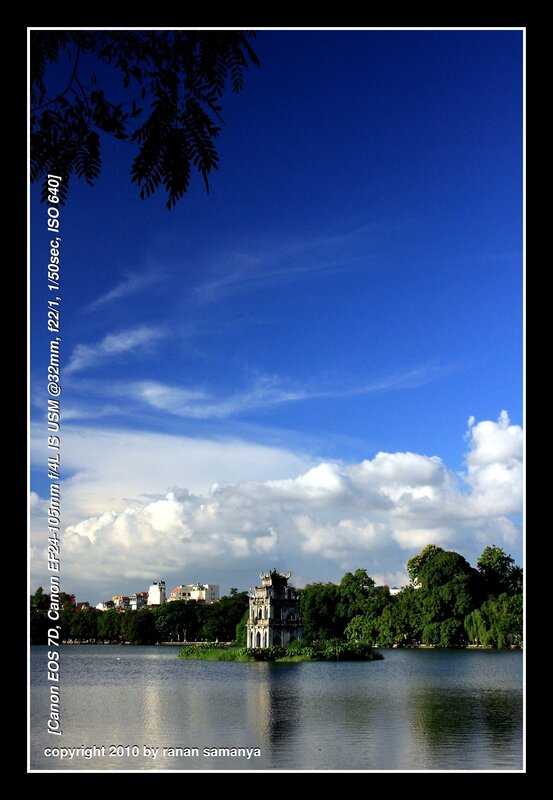 Hanoi maybe an overcrowded city, but it is also tremendously beautiful with so many lakes in the city. Hoàn Kiếm is one of the four most famous lakes of Hanoi. It is said that around the year of 1,500, emperor Lê Lợi and founder of the Lê Dynasty was given a sword by a golden turtle to defy his enemies (the Chinese). After the war as won, the turtle took the sword back to the depth of the lake. 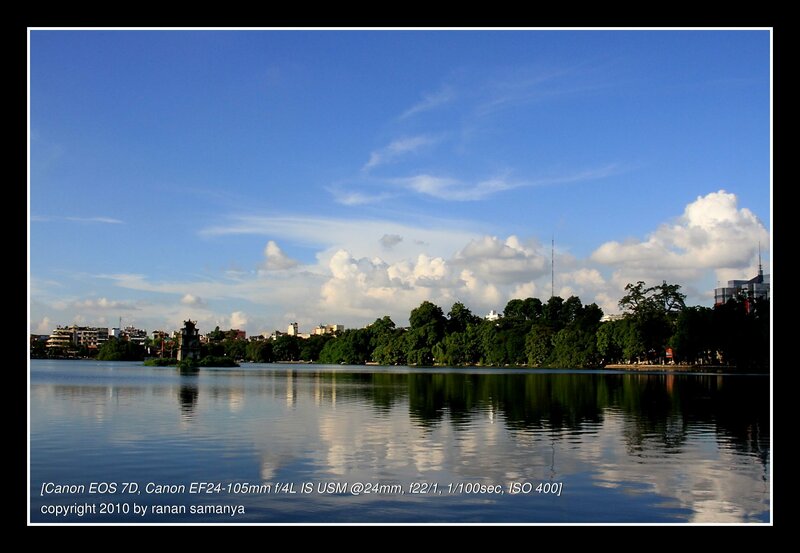 The lake was then named the Lake of the Returned Sword – Hoàn Kiếm Lake. Tháp Rùa (Turtle Tower) was built as a reminder of the event. I had to walk 30 minutes almost half way encircling the northern part of the lake to get this blue sky and nice warm late afternoon sunlight. It was worth the walk. Another captivating fact is that there was no litter whatsoever on the lake, although this is a popular afternoon spot for young and old locals.